There are not many books (or anything else for that matter) that I find compelling enough to pre-order. Sure, there may have been a Cleveland Indians or Cavaliers championship jersey I jumped the gun on, but I have never stood in line for an Apple product or pre-ordered a movie to be the first on my block to own it. 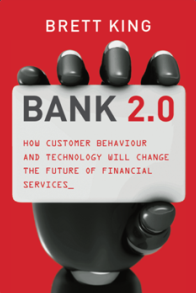 I made an exception a few weeks back with the book Bank 2.0 - How Customer Behavior and Technology Will Change the Future of Financial Services by Brett King not only because I was intrigued by the title, but because I have been following Brett's Banking4Tomorrow blog for a couple months and I find his take on the changes in our industry both enlightening and spot on. King is also an international speaker and is an industry advisor on Huffington Post (Business News). This evening, Brett King’s book Bank 2.0 begins US distribution with a NYC launch (I actually ordered one from overseas a couple weeks ago and several more for some of my colleagues and clients from a U.S. distributor). While I am definitely not done with the close to 400 page book, it is a great business read for anyone involved in marketing, channels, distribution, innovation or the product area in a financial institution. The book begins by discussing the significant changes that have occurred and will occur in customer behavior as a result of the advent of the Internet and smart phone and the expectations associated with these channel shifts. King discusses the impact of the shift in control from the bank to the customer and the choices that have resulted and will result in the future. These changes are illustrated in his book's video presentation. 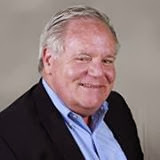 While there is a bit of an international bias in the book due to Brett's background, his observations are all valid and well documented with statistics even though the banks and consumers in the states may be a bit behind their counterparts overseas. He illustrates the three stages of consumer behavioral disruption as shown below. Part 2 of the book is all about the channels that customers use and the ways banks will need to reconfigure these channels in the future to win. Individual chapters focus on the branches, call centers, online banking/web, mobile and even ATMs. What I found both surprising and different about this section compared to many business books is that King is not shy about providing both opinions on how to address the changes that are occurring (with facts to support his recommendations) as well as a vast number of real life examples of both the good and bad in the industry. There is definitely a continuous ROI focus on all of his thoughts based on his vast experience in the industry. 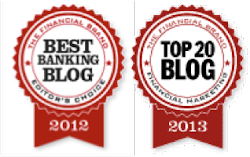 In the third section of the book, there is a look into the future of banking. Brett digs much deeper into the customer experience and channel impact of the changes that have already taken place and what bankers can expect in the future. As can be expected, there are discussions around social networking, new technologies, the future of payments and what the banks role may be in the P2P world as well as a good analysis of the impact on bank sales, marketing and advertising. Throughout the book, King challenges banks with regard to their response to the massive customer changes in the past decade. In fact, he has even developed an inforgraphic around the lack of true innovation banks have done and whether the innovation has been done in the areas that matter. This book is both thought provoking and fact-based, and is definitely a must-read for any banker (or industry supplier) who wants to stay current with the massive changes in our industry and wants a glimpse as to what is right around the corner. Can Banks Find Ways to Make Deposits Work Harder? What is the Future of the Branch?